Instead of only two parts to our family vacation, I’m turning it into three parts. 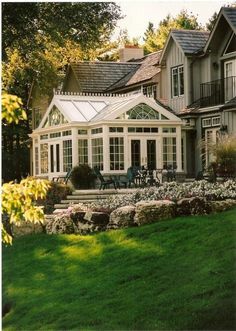 I had two choices: create two posts with all the pictures or ask you to commit to reading the longest post in history today, so I chose three posts ;). 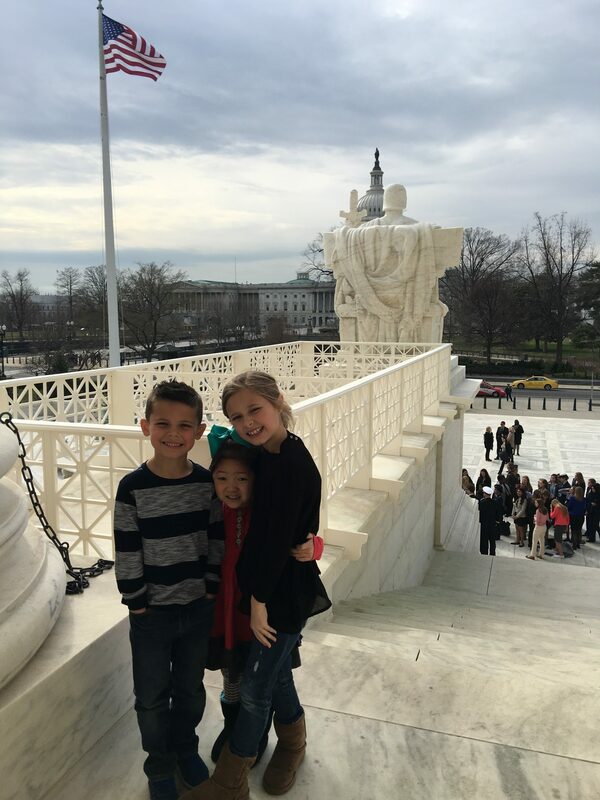 If you missed PART ONE from our spring break trip to Washington D.C., you can read it HERE. Grab your coffee, sit back and enjoy Part Two today. It’s D.C.’s fault I have so many pictures. There was just TOO MUCH TO DO! 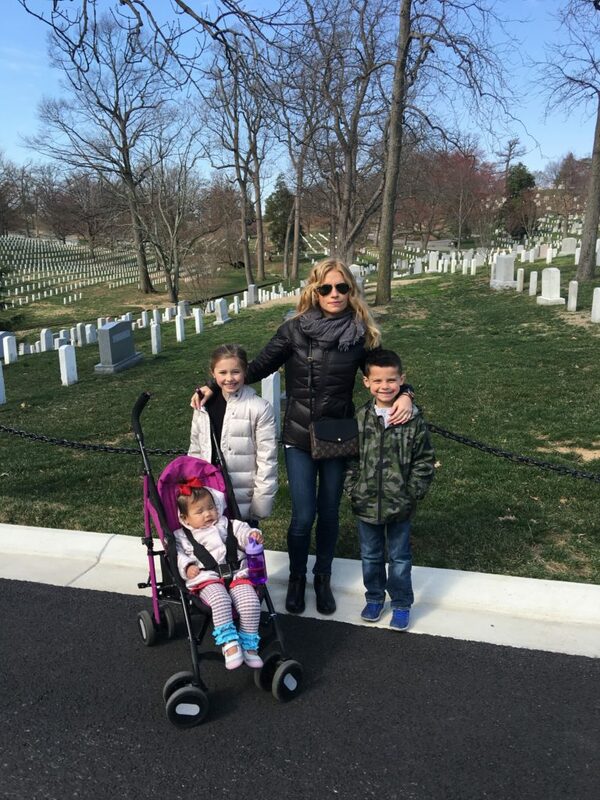 We began the third day of our trip at Arlington National Cemetery. Once again, it was free and there was a wonderful visitor’s center at the entrance for us to explore before going into the actual cemetery part. It was a cold but crisp and sunny morning. I’ve seen a million pictures of this place but to see it in person was a whole other story. The tombstones stretch as far as the eye can see from any direction. 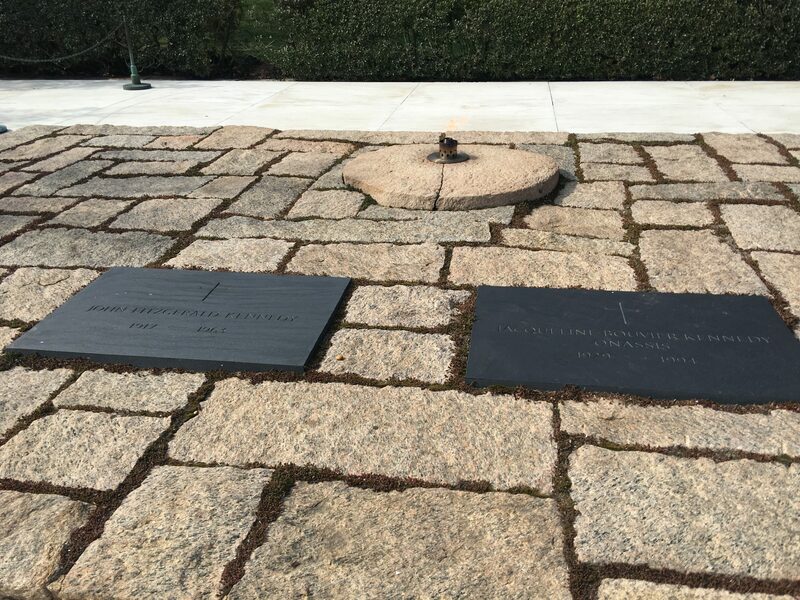 We made our way through the cemetery until we reached these two graves. President John F. Kennedy and Jackie Kennedy Onassis. We took our time and read every little thing we could as we walked. Madeley and I are making weird faces but K and Smith look sweet 😉 . I just wanted you to see how many tombstones there are. It was unbelievable. 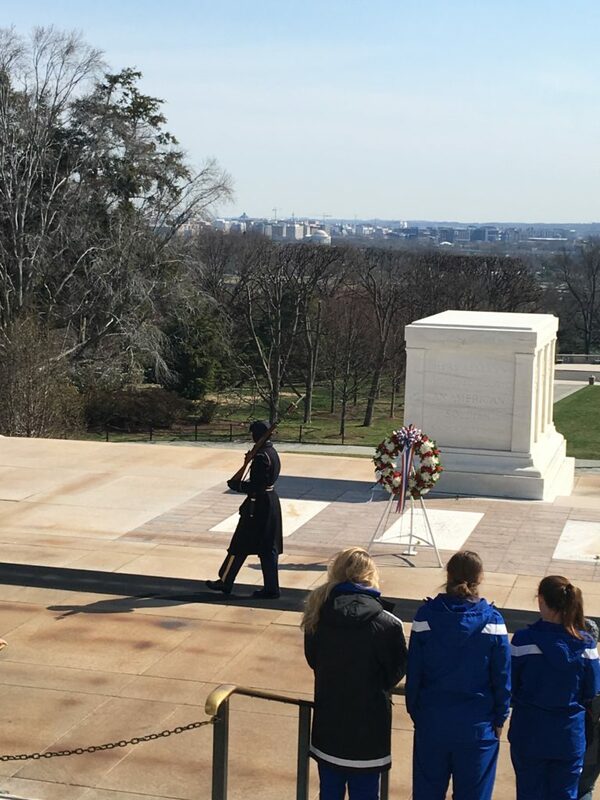 We continued until we reached the tomb of the unknown soldier. For those of you who don’t know, the tomb has been guarded every second of every day since 1937. Eighty years. Through the night, through the storms, through the heat…every second. Wow. We saw the changing of the guard and that was a special ceremony too. After we left the cemetery, we headed to Tortilla Coast per Meagan’s suggestion. You guys all know my friend Meagan, right?! Well, they lived in D.C. for about 10 years prior to moving to McKinney so she was a WEALTH of information. She said we must have lunch here…so we did…and it was SO GOOD!!! 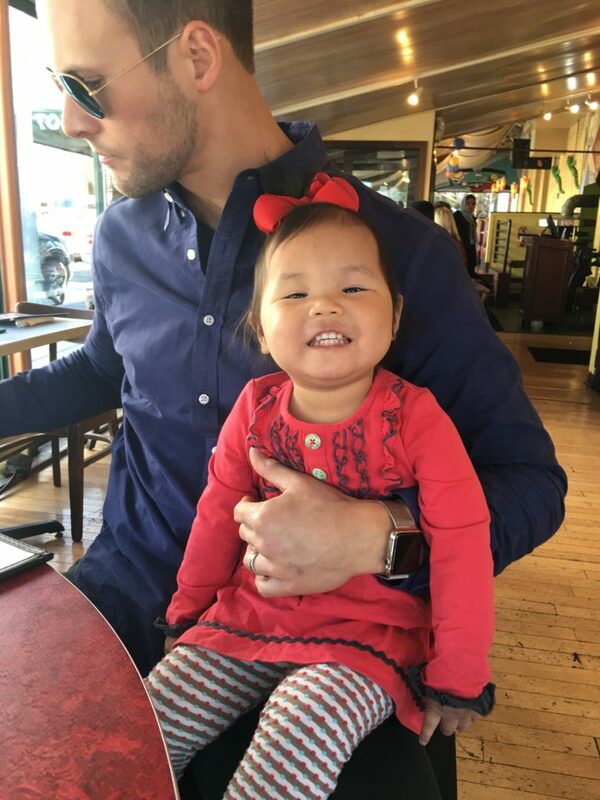 We smile big for Mexican food! After we left Tortilla Coast, we headed to the Capitol to tour their visitors center. I didn’t know what to expect…but in my opinion, their visitors center was my favorite! There was so much to do that we could have stayed a lot longer. She’s all ready to learn about Congress ;). Pictures were limited inside the visitors center/museum part but here they are at the entrance. Now, at this point…things start to get crazy. Please note, we just left the Capitol with no intention of returning this trip. So, I have a friend at church who was at my house for dinner a few weeks ago and even though he lives in McKinney, he works out of D.C. a lot of the time. 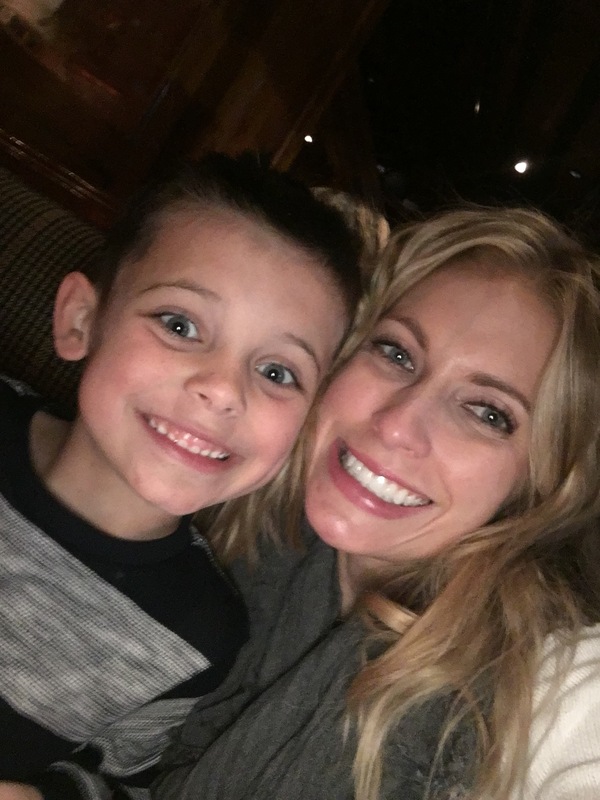 Well, I mentioned that we were heading to D.C. over spring break and he said,”I work with a girl named Kerri who reads your blog, I should connect you two”. I was like “yeah, sure” and didn’t think much about it, but we connected via text once we landed in D.C.
Well…on this particular day, this sweet blog reader named Kerri who I had never met before texted us and was like “would you like to go inside the Supreme Court for a private tour” and Andrew and I were like “is that a trick question?”. Um, yes! So, we knew we were meeting her on the steps of the Supreme Court that afternoon. Mr. Smith outside the Supreme Court. We had no idea what Miss Kerri was about to get us into ;). So, sweet, sweet, sweet Kerri showed up with this gentleman right here and introduced us and told us that he argues in front of the Supreme Court, so she thought he should give us a private tour…and he did. And it was AMAZING. 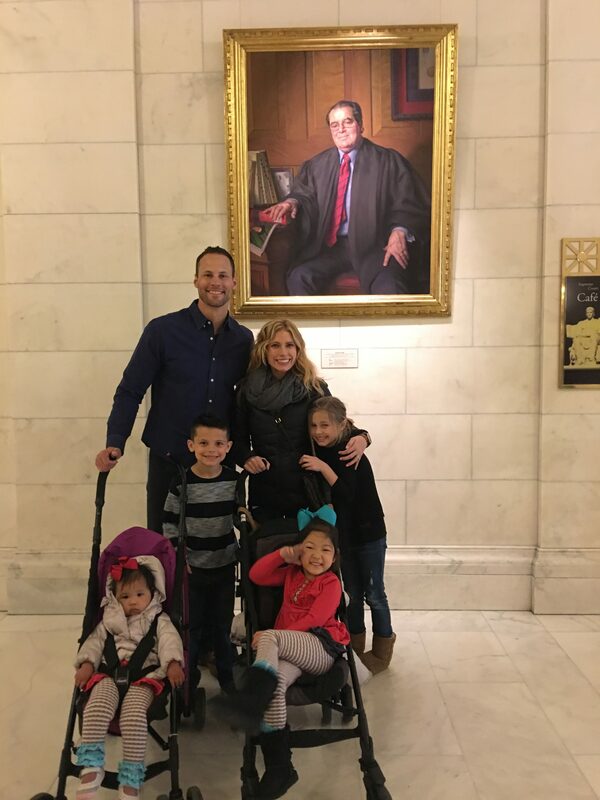 Of course, pictures were very limited inside the Supreme Court, so I’ll just paraphrase here: thanks to these two people, we were able to freely walk around the building and peek in everywhere…including the actual courtroom where the Justices listen to arguments and make their decisions. When I stood there and looked at those nine chairs, I felt very proud and very patriotic. We kept trying to tell our kids how momentous this visit was…to stand and just be in there was such an honor. 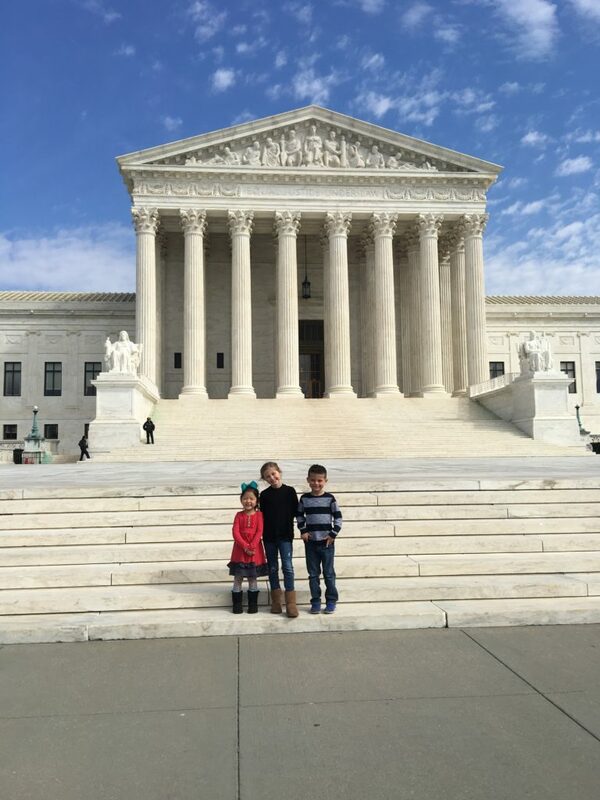 They were so nice and really took their time showing us around, pointing out certain Justices’ chambers, explaining history, architecture, giving personal stories and anecdotes from their time there…it was so cool. Here we are standing on the top of the steps looking out. So, so, so, so cool. 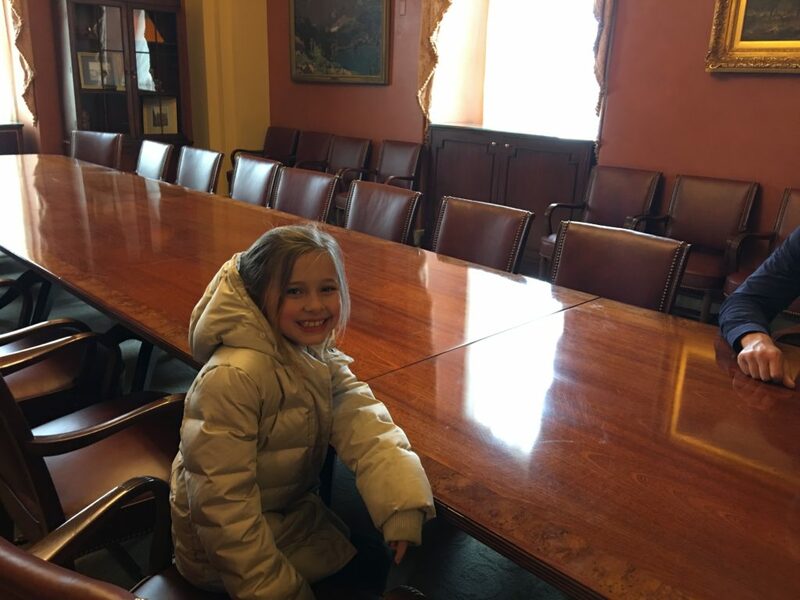 Then…Kerri asked us if we’d been to the Capitol and we were all like, yeah, we just came from the visitors center and she was like…do you want to go back and go inside the Speaker of the House’s office? And she was all like, yeah, I have a friend over there who works for the Speaker of the House and he said we could come over now and tour the Speaker’s actual office. Not going to lie…it was all very surreal. This time, instead of going into the visitors center, we entered a door for Congress and staff only. 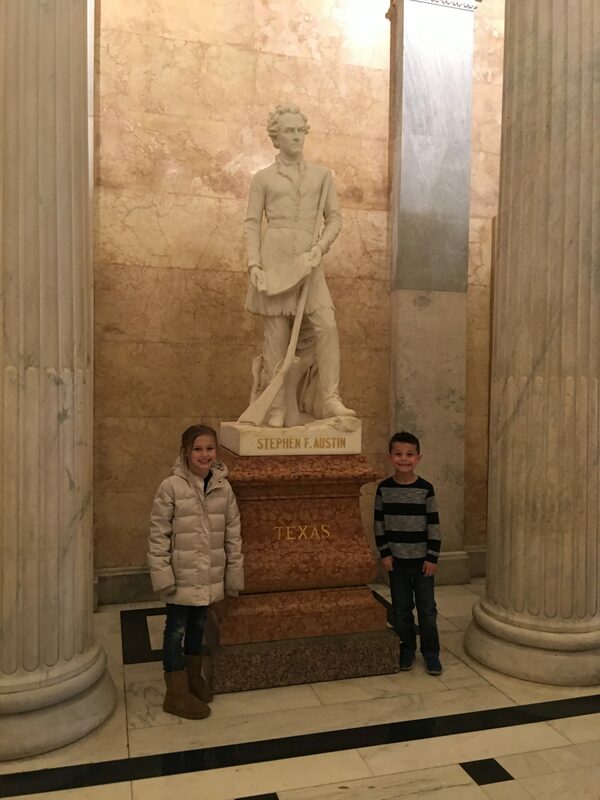 We learned quickly that every state has to donate two sculptures that represent them to the Capitol, so we looked hard to find the two from Texas ;). Kerri’s friend met us at security and gave us his own staff tour of the Capitol. Wow. It was unbelievable! 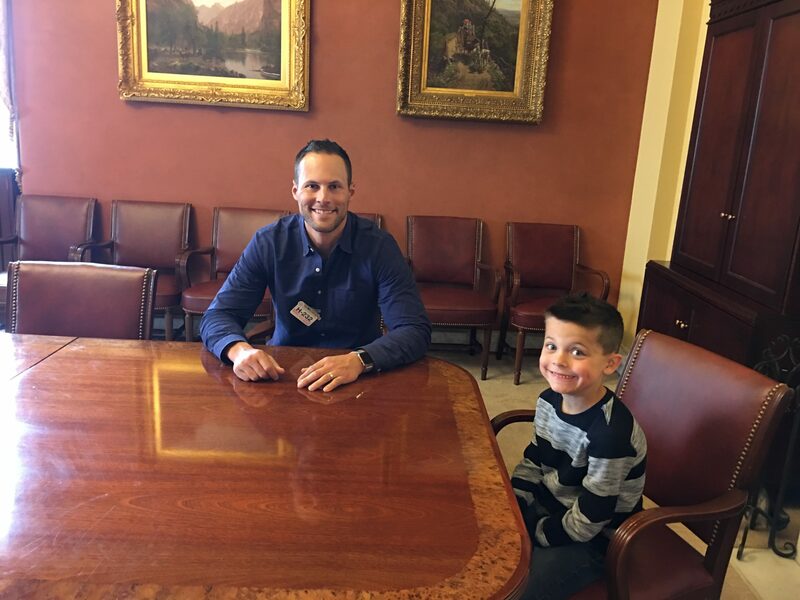 And then, he brought us to the Speaker of the House’s office (all Speakers use this office in the Capitol) to check it out too. We could take pics in the conference room and on his balcony but not in his actual private office. Here we are in the conference room. Presidential inaugurations (since Reagan) take place directly below where we were standing. A picture with Kerri (standing next to me) and her sweet assistant, Breanne. After this, the very nice staffer asked if we wanted to see more. Of course we did! First stop, he took us in to the Rotunda. And then he asked us if we had ever heard about the underground village below the Capitol? We hadn’t, so he explained. He said underneath the Capitol is a whole world where the House and Senate operate. They have trams that connect their buildings to each other and to the main Capitol part. They have barbers down there, dry cleaners, a spa, restaurants, an ice cream shop and so much more. It’s their own private world that operates underneath the Capitol building. And then he said, “Would you like to go down there?”. So, here we are riding the tram under the Capitol. The tram car we were told to get in to said “for Congress only” but the driver said we could get in. For Congress, for four crazy kids…what’s the difference??? We didn’t take pictures on our tour below out of respect for their privacy but geez…it was insane! We went over to the House side and walked around. It really was its only little world down there. And then we popped up and visited the House of Representative’s chamber. You know…that big room where the President gives the State of the Union address and things like that? We walked around in there, sat in chairs, touched the voting buttons…it was CRAZY. This was all such a once in a lifetime experience all thanks to sweet Kerri and her staffer friend. 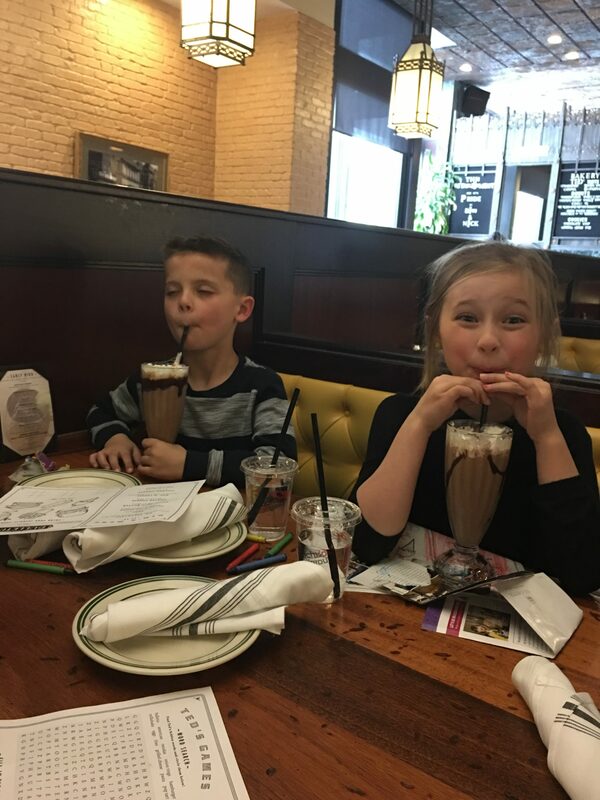 So, after our big tour, we celebrated the kids’ excellent behavior with milkshakes. 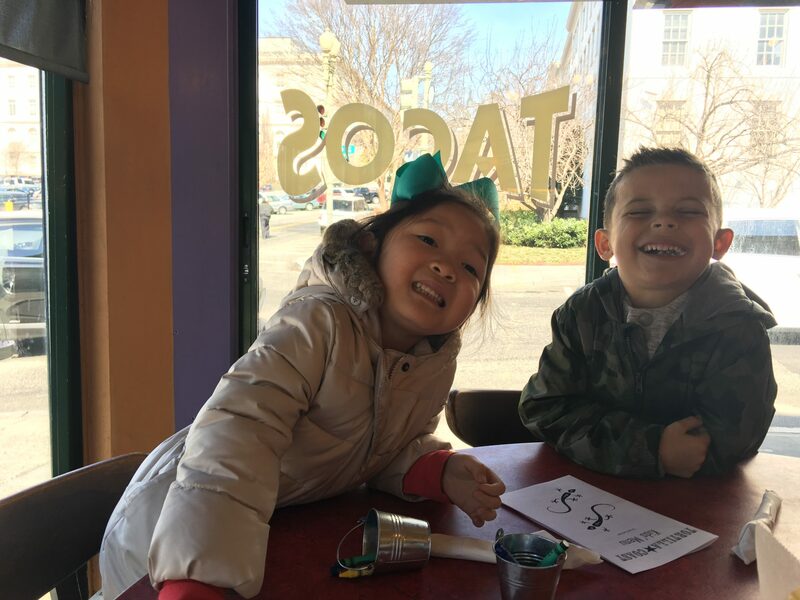 Kerri told us about a cute little neighborhood and a place called Ted’s Bulletin Restaurant where Andrew and I could get coffee (and we split a big oatmeal cookie with icing) and the kids could get milkshakes. We had dinner reservations later that night, but we had a little bit of time to sit down and have a treat before walking some more. This place was so cute that I wished we would have had an entire meal here! We loved it! And then we finally arrived at Old Ebbitt Grill for dinner. We LOVED our dinner here! The food and the atmosphere were fantastic!! I highly recommend! Blurry and crazy…just like us. Whew! That was day three of our trip. 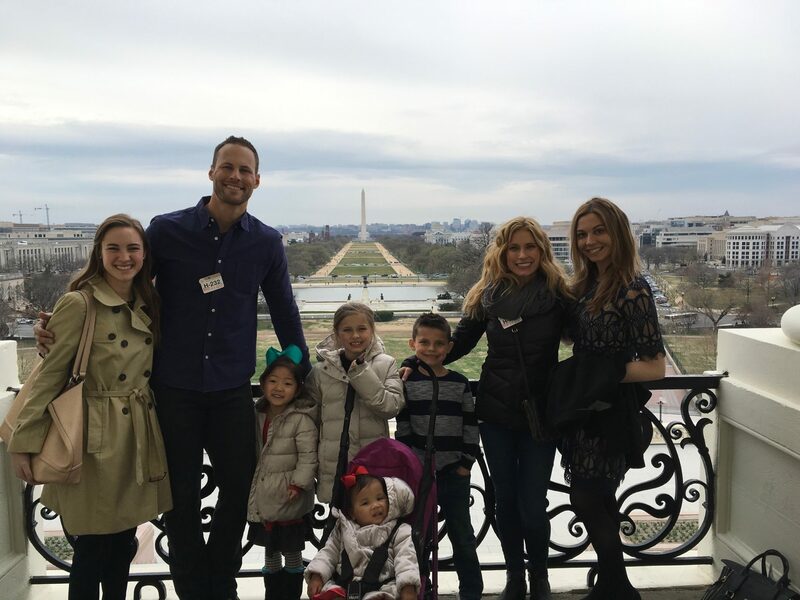 So, after this, we headed back to our Airbnb for bedtime when…sweet, sweet Kerri texted us and said, “Would you like to go on a private tour of the West Wing tomorrow night”. And so we went to sleep super excited about waking up the next morning :). That’s Part TWO. Stay tuned for Part THREE. WHAT!!!! How fortunate to have such a well-connected reader!! That’s amazing! That’s unbelievable! I think the coolest part was standing just above the inauguration sight. I would totally watch Scandal now and be all,”No that’s not right, that’s over there,” ha! Can’t wait to see more tomorrow! 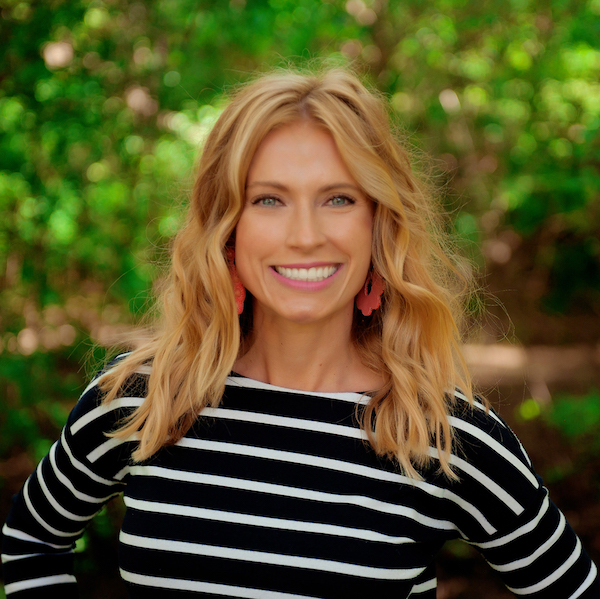 How sweet of Kerri – and how lucky you are! Goes to show that blogging can really forge new friendships and bring new opportunities. You just THOUGHT it was gonna be a hard-to-top day! I can’t wait to see tomorrow’s pictures!!! And Bowen flipped when you sent us that picture of Ashby. Oh my goodness, what an awesome trip!!! So many once in a lifetime tours you were able to go on – can’t wait to hear about the West Wing! WOW! What a memorable day for your family!!!! So excited for Part 3! How nice of Kerri! It looks like you all had so much fun. I can’t wait to see what tomorrow brings. Thanks for sharing your journey with us! P.S. Where is your coat from? It’s adorable! My husband is in the Army and we were previously stationed in DC. 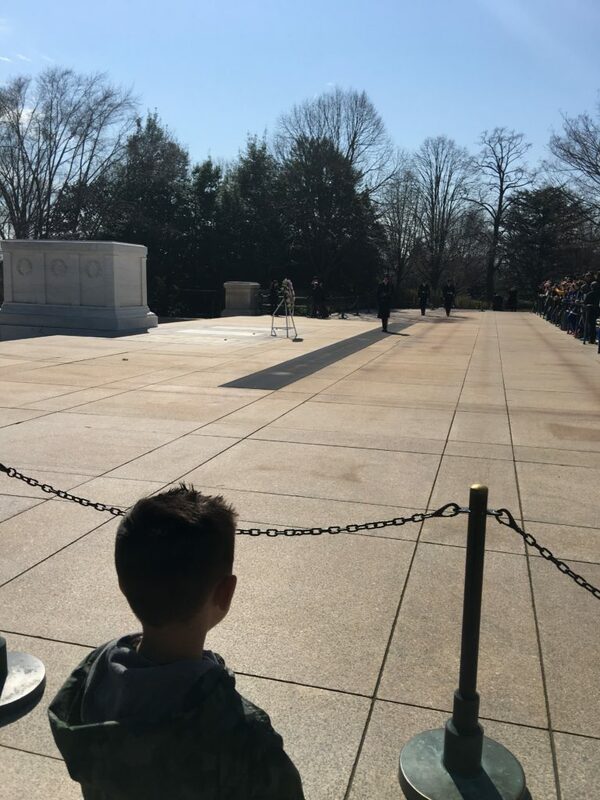 The changing of the guard is my favorite, such a poignant moment. What an awesome day! That is so sweet of Kerri 🙂 I can’t wait to see tomorrow’s adventure! These posts are making me want to move up D.C. on my travel list! What fun surprises! 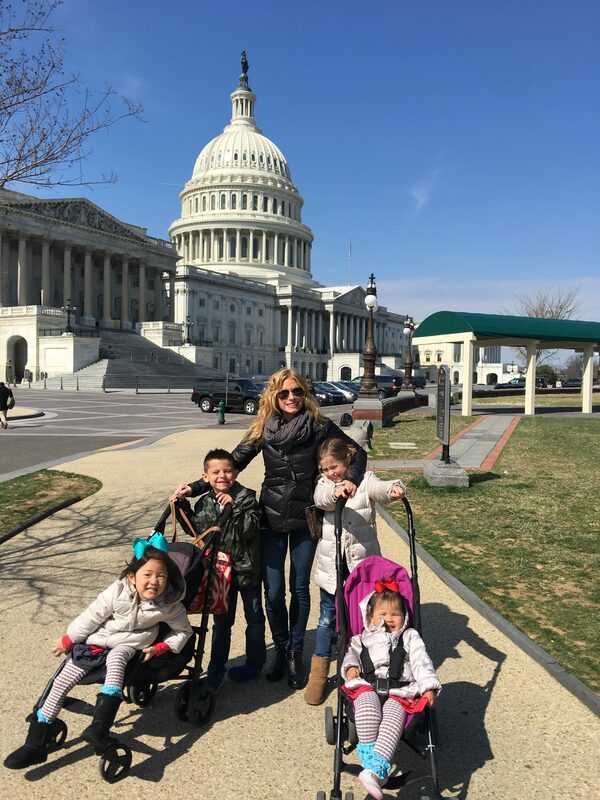 We did D.C. when my kids were younger too. A friend’s sister had connections with the Bush administration and we were able to tour the entire White House and see President Bush land in his helicopter on the White House lawn. Like yours, it was such an unbelievable experience and we have such wonderful memories of it. As young as they were, my teens still have vivid memories of it! I’m a Virginia girl born and raised, lived so close to D.C. but never visited. I moved away, went to college and married my college sweetheart who then was commissioned as an Army Officer I knew one day we’d get stationed in D.C., didn’t happen. 30 years later once he was retired we finally went as a 4 day getaway. Best time ever!! The Tomb of the Unknown Soilder and Arlington National Cemetery left me speechless. Very sobering and humbling experience. Having been a military spouse and experienced all that it incompasses it truly made me appreciate my husband and all the men and women who risk their lives daily for our freedom even more. Wow!!!! So fun! That picture of Smith on the tram is the best!!!!! How exciting! What a great tour you’ve had- can’t wait for part 3!! 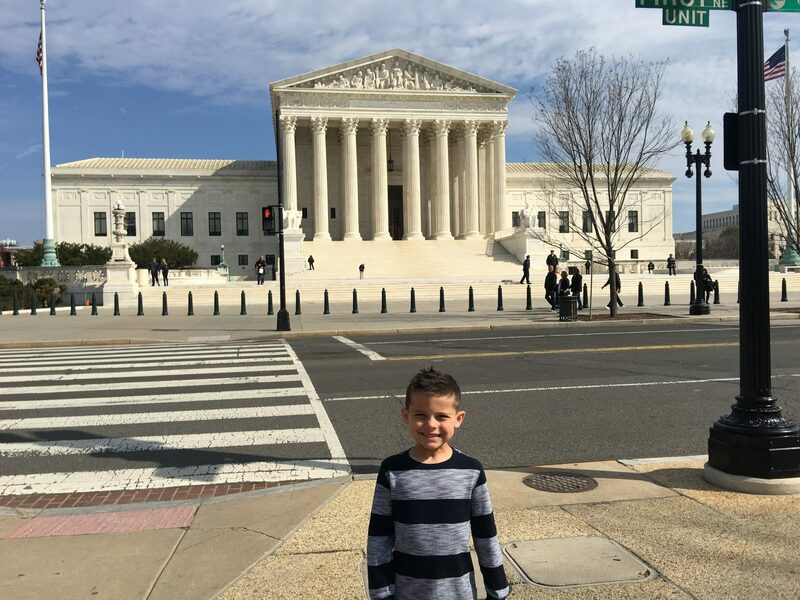 We’re planning on taking our kids to D.C. sometime in the next year or so and I’m really enjoying your suggestions. What an incredible experience! I’m so glad you got a behind the scenes peek into DC! Looks like such an enjoyable trip! I live just outside of DC. I love it there and we still see new things every time we go. 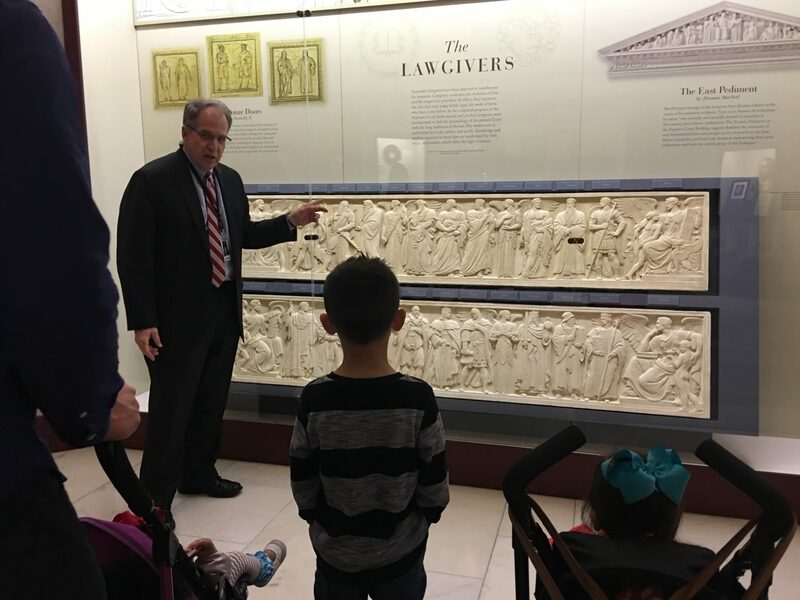 My husband worked in the Senate for many years and one of his extra duties was to give behind the scenes tours of the Capitol building. Did you get to see the baths where Jefferson, Franklin, etc… would wash off after a long carriage ride? Glad you had so much fun. I did an internship program in DC back in 2012, and I remember when we got to go to the floor of the House. It was one of my favorite mornings of the whole summer! My mentor also worked for a Congressman, and she took me down to the underground community and showed me how her boss got from his building to one of the other ones or to the Capitol. So fun! I also loved the Rotunda and all the statues. But I can’t believe you got to go to the West Wing!!! I’m so jealous!! When we toured the White House, we only got to go through the normal visitors part, which is only about 15% of it. Can’t wait to read about tomorrow! What an amazing opportunity for your crew! I am so happy that you had such a special time! I can’t wait to hear about part 3!! You’ve shared a great slice of America’s history and traditions! And some of DC’s best restaurants too (Old Ebbitt, especially!). Thanks so much! Oh and it’s not exactly “free”, but rather “included in our tax dollars” as my banker husband reminds me. 😉 Can’t wait for tomorrow’s posting too. You know I’ve been doing a happy little scream through this entire post! We love love love D.C. ❤ What a special trip you had! I cannot wait for Part 3!!! What an amazing day!! Now you make me want to plan a trip to DC. Hoping we get to go this fall! 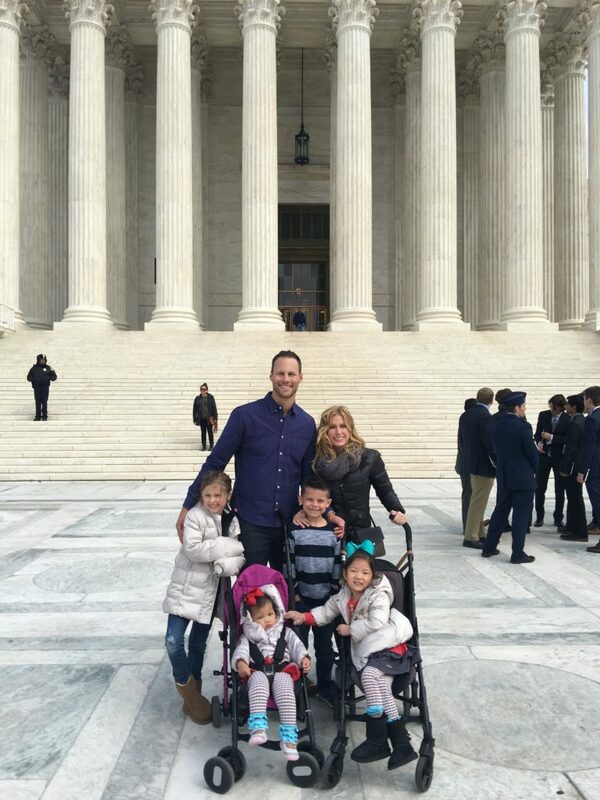 As a D.C. resident I can say that your family really got a trip of a lifetime. 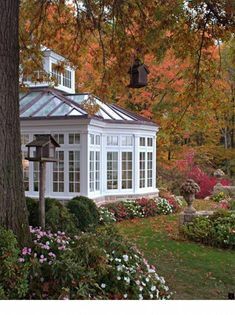 Most of us who live here have not been lucky enough to see everything you did – so cool!! Oh my goodness two things: 1) I just love waking up to your blog!! 2) where did you get your jeans you wore in this post? They look great! I’m in need of ones without holes! If you don’t mind sharing the brand!! ? I love how blogs can connect people! How awesome that Kerri had all these connections! Can’t wait to see tomorrow’s post of the West Wing! Oh em gee..how amazing! What a great day!! Love all the pictures! I went to D.C. in middle school but now I want to go back because I didn’t appreciate it as much then as I would now….. but now I want a Kerri!! That is AMAZING!!! Can’t wait to see day 3! I am loving this and now you have me wanting to go back! 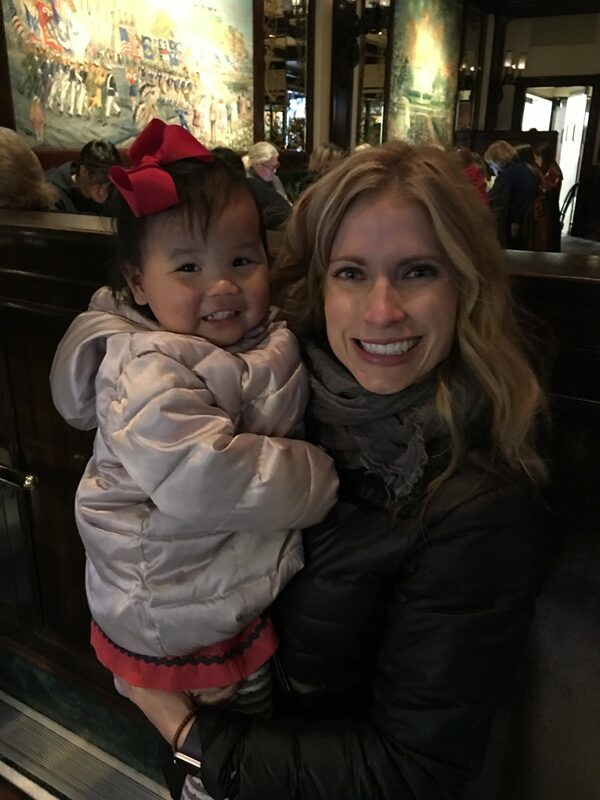 One of our favorite restaurants was Old Ebbitt Grill as well! Can’t wait to see tomorrow’s post! Wow- what an awesome post. I love reading about the history you touched upon. I am so excited for our trip to DC this summer. Visiting Washington, D.C. is now on my bucket list, thanks to you!! I’m super jealous of all that y’all got to experience!!! So cool! Can’t wait to read more about it! I have a question for you. When you went into the visitors center, did you have to have a reservation in advance? Same question for your white house visit. Is there a part where you can go in with out tickets? Or do you have to have those in advance? We were on the list for the white house, but we were told the volume is too high. 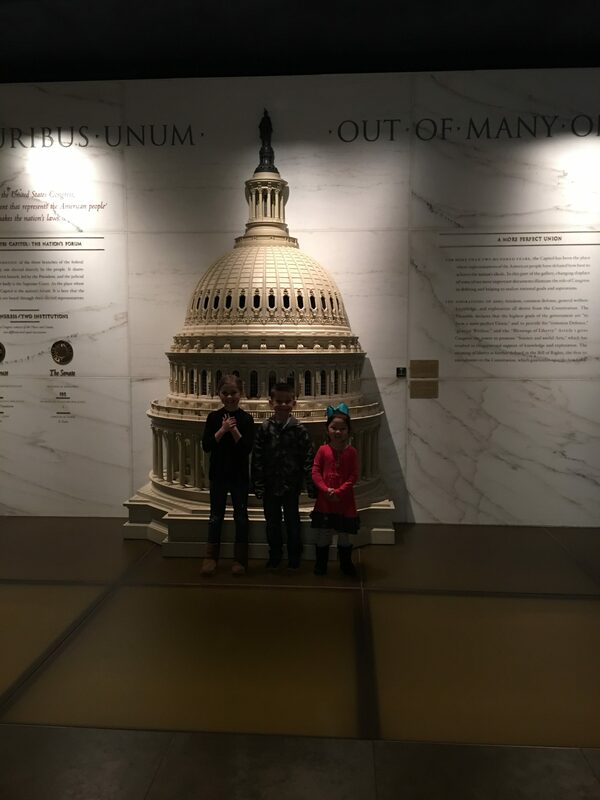 We do have a capitol tour scheduled with our senator. I just wonder what we can do without the tour set up. No, we just walked right up and right in (everywhere we went we did this except for the Holocaust Museum). ‘very D.C.” with all the business and congressmen in their suits etc. Can’t wait to hear about the rest of the trip. I’d love to see pictures of the airbnb you stayed in too! Shay! So many connections to you and your blog post today! 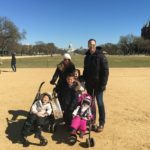 My husband lived in DC for a bit after college doing an internship and so we have been several times and he has lots of connections as well. It’s so fun to see some behind the scenes stuff. Actually, two years ago today, my now husband and I got engaged in DC at the National Gallery of Art Sculpture Gardens. 🙂 (And 1 year ago today I met you at your cookbook signing in Grapevine! ) 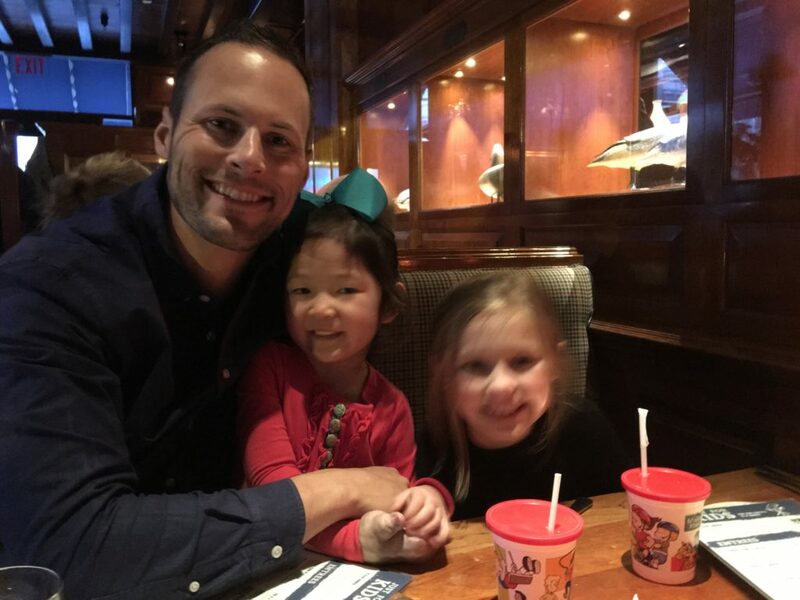 Love getting to keep up with you and your sweet family on the blog. Thanks for sharing! Whaaaaaaaat?!!! I just had to join in. I keep squealing at the breakfast table and having to explain to my husband what’s going on. I love DC and have just started to get into The West Wing. Soo excited for part three! I’m just a girl from South Aftica, with near hslf my family in the USA so I feel part American, but Thid Post gave me GOODEBUMPS! What an AMAZING; INCREDIBLE & UNEXPECTED ADVENTURE! Don’t suppose we’ll get a “Kerri” type tpur but the whole city;sights & cafes/restaurants have sparked my desire to see it firsthand! 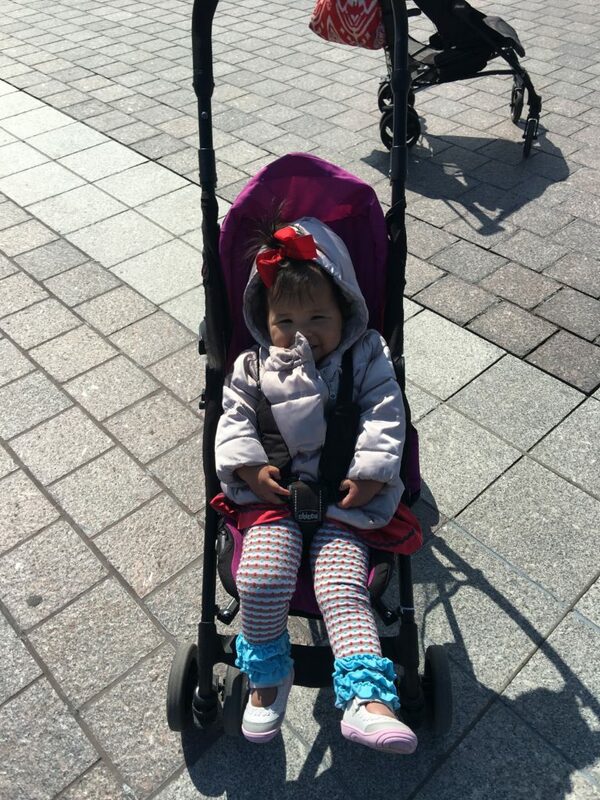 Love Love Love that you are able to walk walk walk – the best holiday with kiddos? Can you tell more about the Airbnb? We are planning a trip to D.C. in the fall and I would love to know more!! How fun! What a great experience. I worked at the Pentagon for 5 years and never got over the emotional/overwhelming sight of Arlington Cemetary! Teds Bulletin has the best homemade pop tarts. So amazing! What a once-in-a-lifetime experience! Please tell me you had homemade Pop Tarts at Ted’s.. Those and the adult milkshakes are THE reason to go ;). 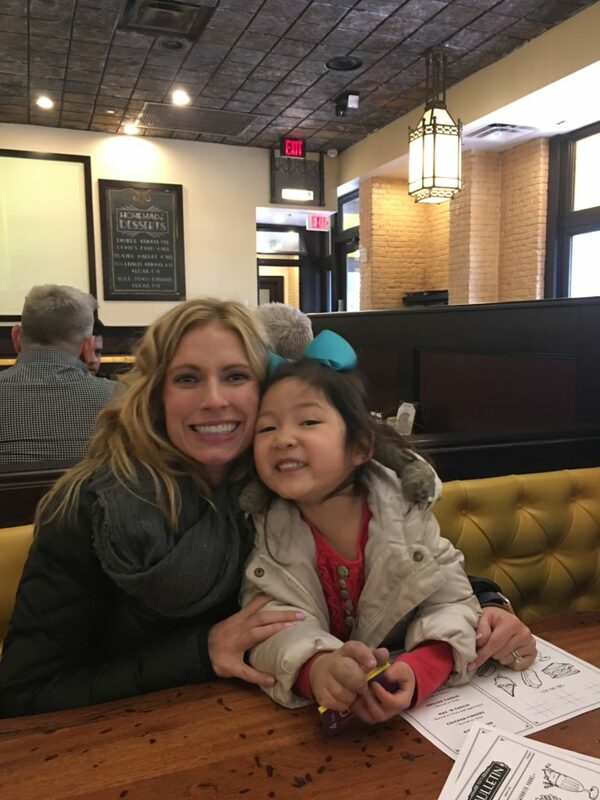 So glad you enjoyed your visit! I’ve lived in DC for almost nine years now (I’m an Ohio native), and have never even been to the Supreme Court or White House (**embarrassing**). Thanks for inspiring me to be a little bit more of a tourist in this town! It really is incredible, isn’t it? Please get off Paul Ryan’s chair…LOL!!! How cool it was that y’all got to see all that! Apparently, EVERYONE hit DC for spring break this year!! I have friends visiting now but I bet they don’t get to see half the amazing things you did. Hooray for cool blog connections! But have you been taken to secret rooms by the Secret Service in the White House because they thought your family member was a human bomb? Haha! Happened to me nearly twenty yrs ago! My dad was sick prior to our trip and he had many stress tests run where they put radiation in him. Well, the amount of radiation he had in him set off the detectors at the White House and caused quite the commotion. Men I didn’t even realize were there rushed him out of the room and took me and my mom and brother into a separate room. My dad said they quickly were able to pull up his entire medical history to verify his story and that they knew every single thing about him within seconds! It was crazy! After that they personally escorted us around the White House and gave us a tour since we’d missed our planned tour. Pretty neat experience! HAHAHA! We didn’t get whisked away to a secret room, but we did think we were going to be kicked out! My father-in-law didn’t adhere to the strict list of what not to bring into the White House and not only brought a pen, but the remote control for his hearing aid, which set the security people into a tizzy! He got pulled aside and he somehow was able to convince them that it was harmless, but we just knew they thought it was a remote for a bomb and would throw us out- and put him on a terrorist watch list! So so cool!!! I’m disappointed there were no Fitz or Olivia Pope sightings though. Can’t wait to hear about part 3!! I’ve lived in the DC Metro area several times in my life and I’ve never seen all the cool things you and your family have experienced on this trip! It all sounds so amazing and fun! So cool! A friend of mine is the spokesman for a former president. He worked for him even during his time in the White House. When he was there, he loved giving people private West Wing tours. I’m so sad I never got to take advantage of it, but I cant WAIT to see your tour! WOW! What a spectacular surprise! Surely, the Washington D.C. trip of a lifetime! So many awesome memories for your family! Oh…holy…wow! So amazing! I’m so excited for our trip next year! I was just telling my husband the other day that I haven’t been this excited about planning a trip in a long time. I think the excitement in my kids is making it that much better. My son is 13 and an American History fanatic, he would probably pass out if he were given these opportunities! He assures me daily that he will be President one day! Looking forward to part 3! Cool. We went to D.C. About two years ago. We went to visit my Brothers family. One of the kids had a special event that we were visiting for. 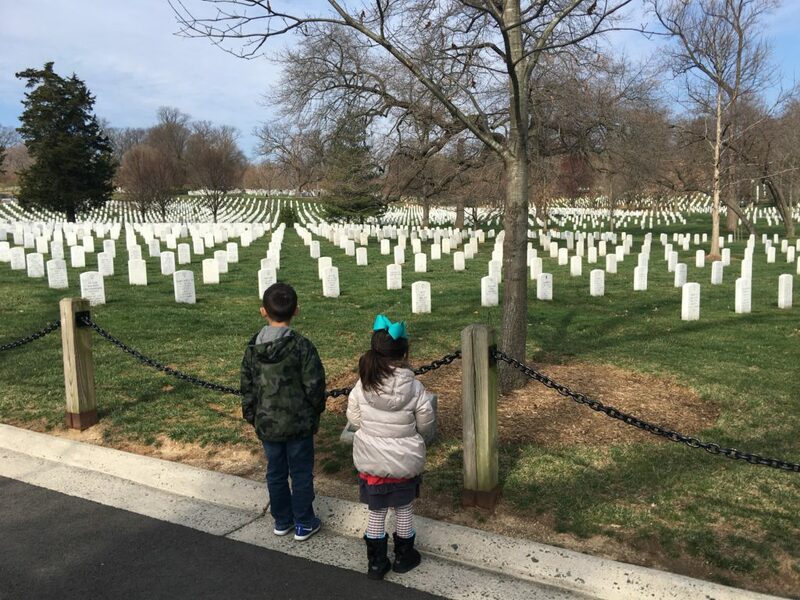 I remember see Arlington national cemetery. It was a lot of walking. I had only packed one some what comfy pair of shoes because we flew. Was not feeling good at all. I loved seeing the changing of the guard. 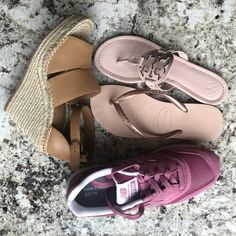 Anyone planning to go to Arlington be sure to bring comfy walking shoes. We also saw the Smithsonian which we didn’t see everything because they have a lot of buildings. I wound up having to stay off my feet for a few days- Drs orders because of all the walking. I had also been to D.C. before,but this was our first chance to do the tourist stuff. What an amazing trip! I can’t wait for tomorrow’s post! Oh how fun!! To know your sweet blog touches amazing people like Kerri must be surreal. As an elementary teacher, I can only imagine the thoughts in your kiddos minds. I love that you always include your sweet babies!!! Much respect…. We went to DC a few years ago. My brother lives there and one of the kids had a special occasion we had flown out for. 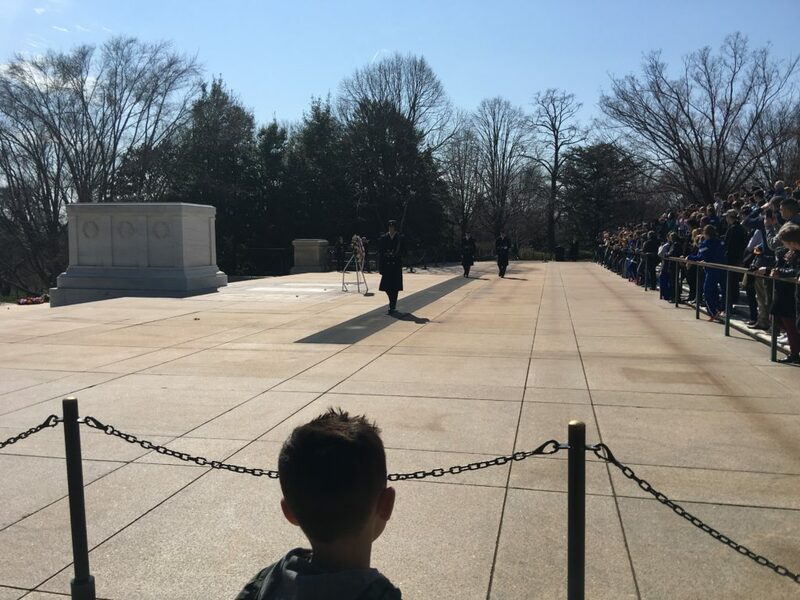 I loved seeing Arlington and the changing of the guard. We also saw the Smithsonian. I would have packed an extra pair of shoes. I had to take a few days off work when I returned. There wasn’t room to pack another pair. Didn’t feel the best, but it was too late to back out. I’d been before but hadn’t done the tourist stuff. I still had a fun time. Wow! Wow! Wow!!!! Such an extra special experience you got!!! 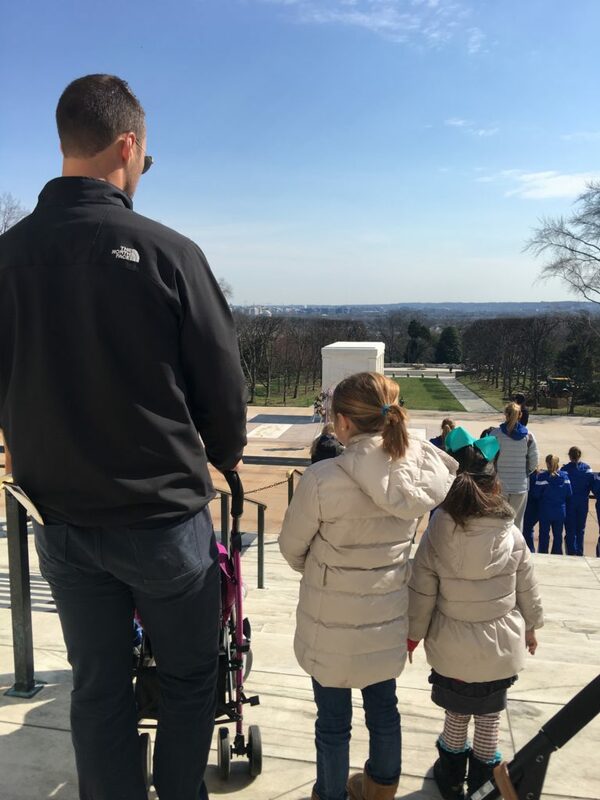 Our family had an almost identical trip to D.C. and left the day before you arrived. 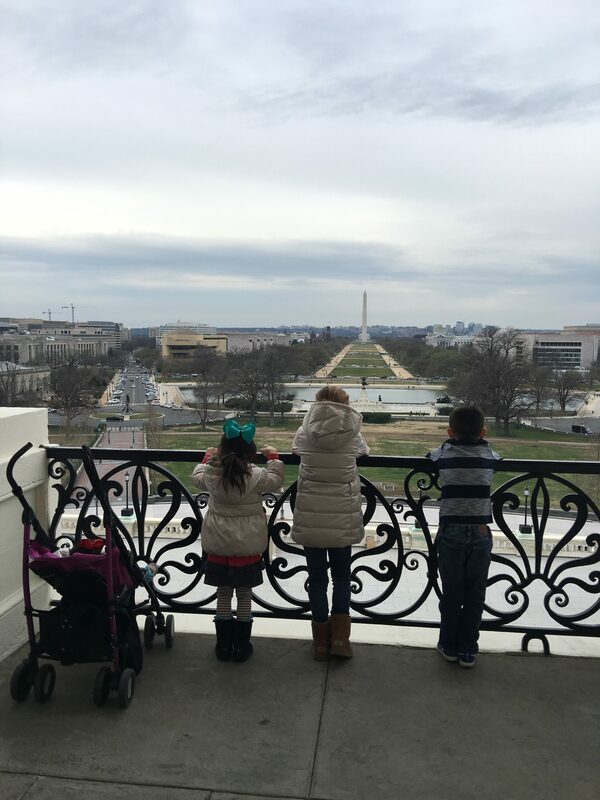 What breathtaking views from the speakers balcony and the West Wing experience is one our children will treasure for a lifetime!! So happy for you!! What an incredible trip of a lifetime! 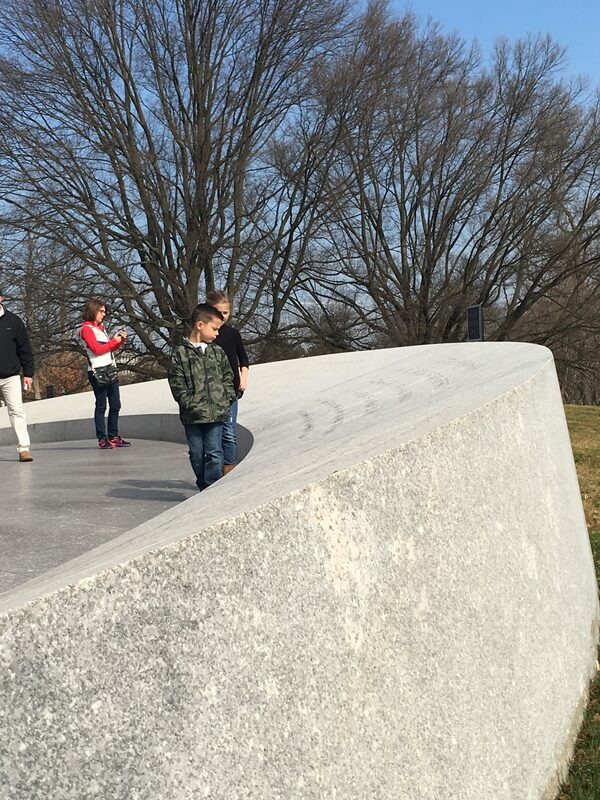 As amazing as DC is, and for all that you can see, it has changed so much since 9/11. 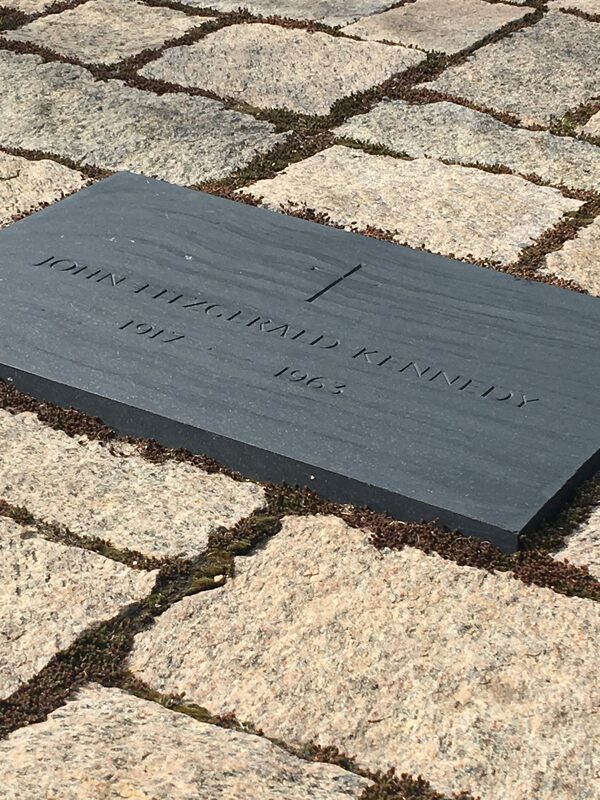 My husband and I visited DC in May of 1994 – saw Mrs. Kennedy’s funeral while we were there. Everything was so open, you could tour and see so much…we walked everywhere in practically every building. Post 9/11, you don’t see half of what you once could. We took our son to DC in 2009 and it made me so sad to know some places that were so accessible in ’94 are now so locked down. I have pictures from then of places that will now no longer allow photographs or tours. I love that city and it makes you so proud to be an American. My husband still works in DC off and on. His dad was career Army and worked in the Pentagon. Lots of security changes that sadly are necessary, but so restrictive. love those tram cars and LOVE old ebbit’s grill. you folks had the hook up! I love Washington DC because it is one of the few places where almost everything is free. 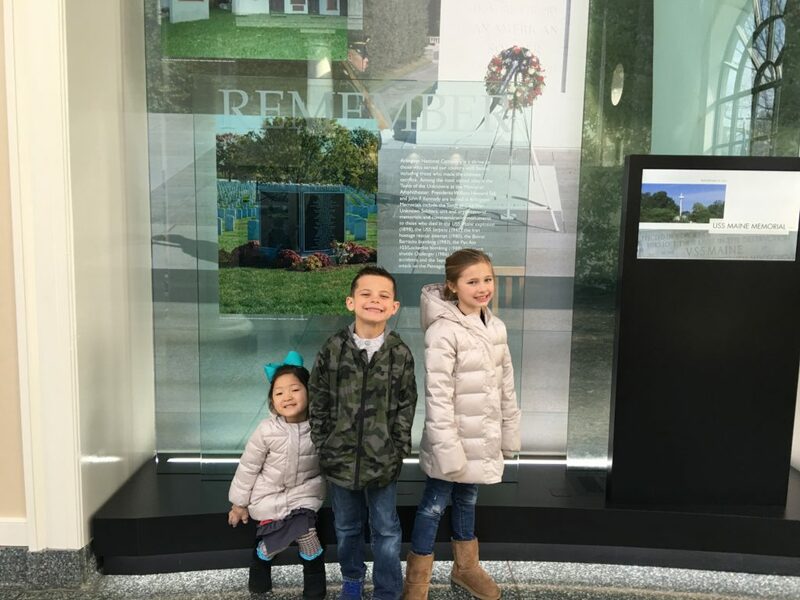 It is great that your kids love going to museums and learning about history. Not all kids are like that. Washington is such a great walking town, too, and the metro is so easy to get around. I have always enjoyed visiting there. Smith made a great choice when he suggested DC. I am a Virginia native, lived there until last summer (52 1/2 years). I have seen bits and pieces of DC throughout the years but have not done a decent tour. In 2015, we laid one of my mom’s cousins to rest at Arlington National with full honors. One of the most humbling, goose bump giving experiences of my life. Due to time constraints did not get to tour. But did take in a lot during our mile and half walk from chapel to his final resting place. I really need to take a trip to DC. Excited to hear about part 3. Wow – the White House security must have really changed since December. I worked there, and it would not have been possible to do a last second West Wing tour. There is (or I guess “was”) an online background check / security form that had to be completed well in advance. You must be truly blessed! They did it on us in less than 24 hours! We had to submit copies of all of our passports (thankfully, Andrew had pics of them on his phone) and they did the check prior to our arrival. DC is the BEST! We ran into Paul Ryan in the tunnel from the Captiol to the Rayburn (House) Building and my kids still make fun of me because I grabbed them and said excitedly, “Do you know who that is?!?!?!? That’s Paul Ryan!!! !” All while he was literally 2 feet from us. We all need Kerri everywhere we go… How do you budget your daily expenses when you go on trips? Meals/ transport and activities. I know most stuff were free and you walked a lot. But for trips you have to pay more for stuff to do? We think that stuff out before we go. We know about how much we want to spend per day on food and incidentals (like tickets to things). That’s all considered before we leave, so that there are very few surprises. 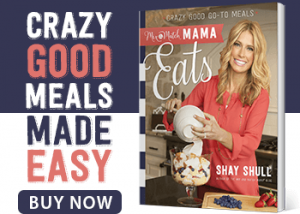 What an amazing experience for your family! Sounds fantastic! I live within two hours of DC, why have I not taken my kids already! I think I will be soon! Thanks for sharing! I love all your family pictures! You are going to treasure all theses sweet moments in years to come!! I always notice your amazing handbag collection. 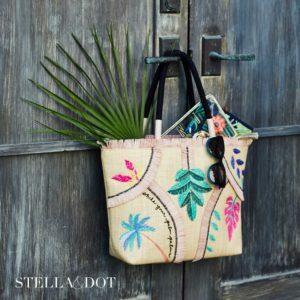 I was wondering if you would ever do a post on your handbags? I would love to see it! 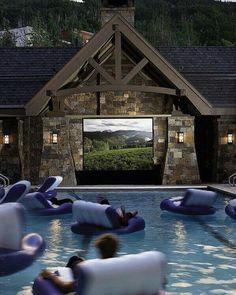 Yes this is actually a great idea! And how your store them? WOW!! Forget Olivia Pope, Kerri is where it’s at! SO COOL!!!! You are most definitely hitting the best parts of DC! I kept hoping I would see that one of your dinners was at Old Ebbitts! It’s SO good!! CRAZZZZY!!!! 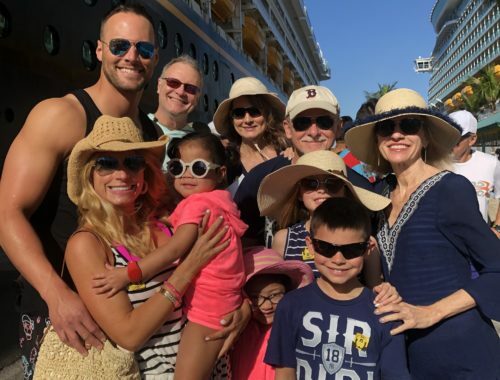 I was thinking at the beginning of this post and your post from the other day that your trip looked exactly like the one we took in 2010… and then you had to go get all awesome and totally trump ours with your private tours! Haha. Glad y’all had fun! I can’t even imagine what it would have been like being in all of those rooms. I would have totally been looking for Fitz. Ha! 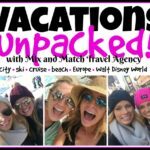 What a great recap of an amazing trip! I was in DC with a girlfriend about 10 years ago, (neither of us were married) and we also had a private tour of the capital building, and the underworld. We were able to sit in on a debate about gun control, and saw John Kerry on the tram. We had ours last minute also, when we were lost on their subway system. A nice man helped us and my girlfriend ended up exchanging numbers with him. He text us the next morning asking if we wanted a tour bc he worked for a state senotor from Georgia. We were beyond excited! The tour was amazing. We later found out he had other intentions than just being a nice guy,(sigh,insert eye roll. We both very nicely let him down, and then not so nicely told him he could keep dreaming.). It was still really cool! 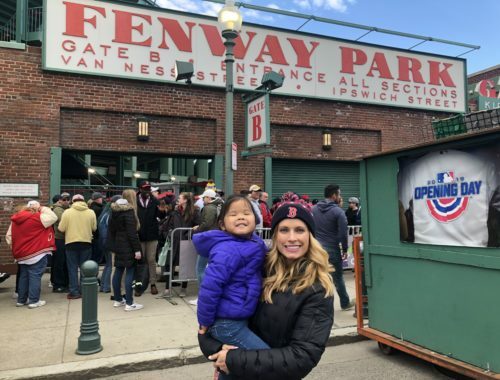 So glad you and your family got to experience it! 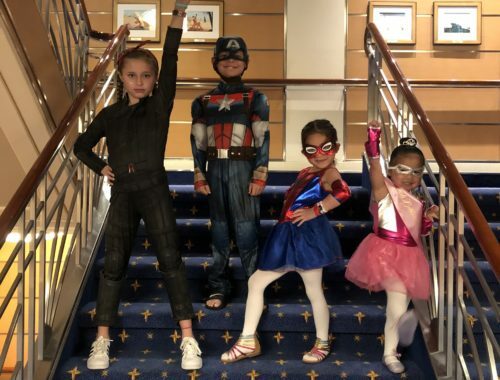 Such an amazing memory for the kids! Major kudos to Kerri…she hooked you guys up! What an awesome story to tell! I’m heading to DC for the first time next week and am so excited to check out all of the sites and restaurants. I’m praying I somehow find a ‘Kerri’ 🙂 So fun! I’m surprised no one has mentioned this in the comments yet. 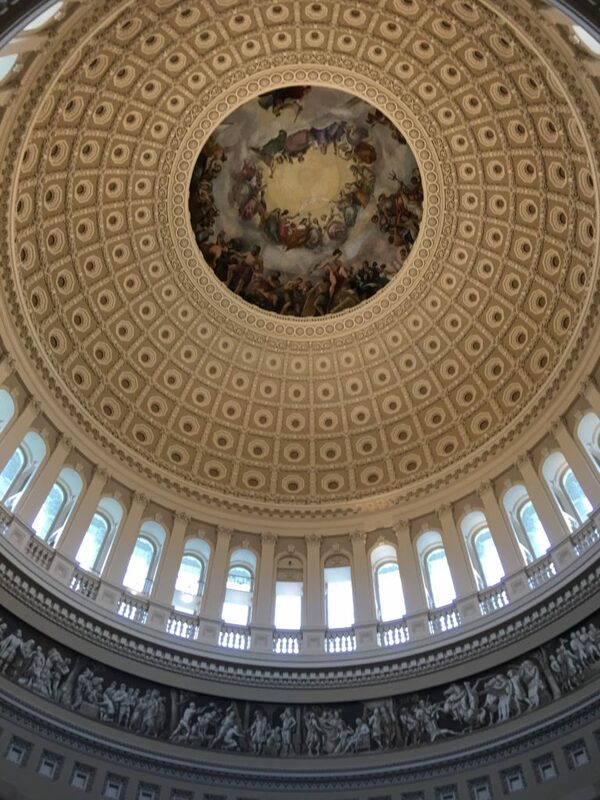 Please let your readers know that anyone can get private tours of the capitol by requesting it through their congressperson’s office. I’m surprised you guys hadn’t done that since you planned this trip for a year. You don’t need a special connection. We had a close family friend who worked in the West Wing for the 8 Bush years. He took a lot of our visiting friends and family on tours and it was great. I lived on Capital Hill right out of college and Tortilla Coast brings back memories. Total hook up/drinking place for the young crowd. Way back in the day (1986?) my mother contacted our senators office a year in advance and arranged some of the same things that you did. We even got to eat in the senator’s dining room! As I was reading your post it made me realize that I truly had a special experience and I need to tell me my Mom “thank you” all these years later… 🙂 I just searched the web and there is a “scheduling requests” section for my state senator. When my kids are of age I will definitely make a request! 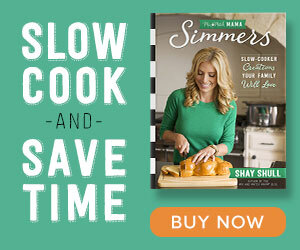 So timely Shay. In these hallowed halls today, 700 constituents today are sharing the deep value of our historical national commitment to the arts and culture. Art, Dance, Theater and Music preserve our national history. I’m so glad your children will know they are welcome in these spaces and can advocate in the future. So blessed to have the Dallas Museum of Art; Symphony Orchestra and so many more amazing organizations near to you. Love your trip recaps. 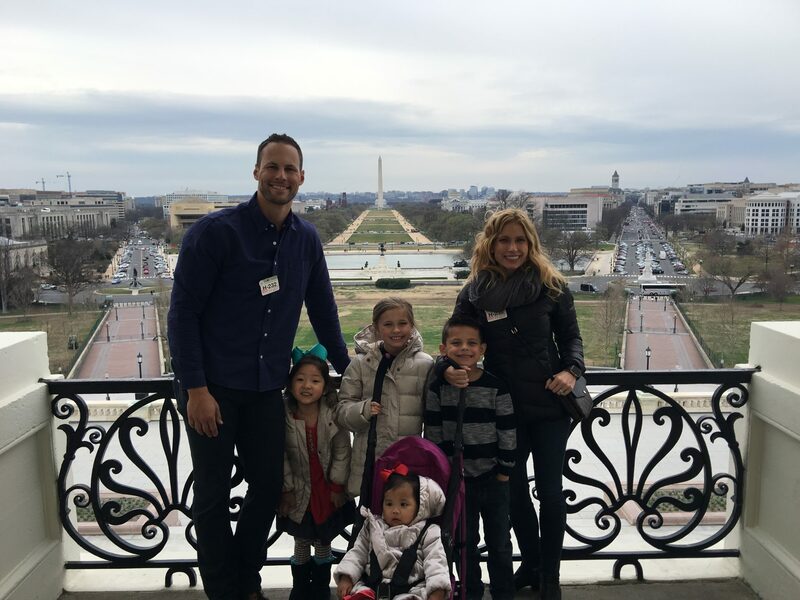 DC Is a truly awesome place to take your family. I have been several times. 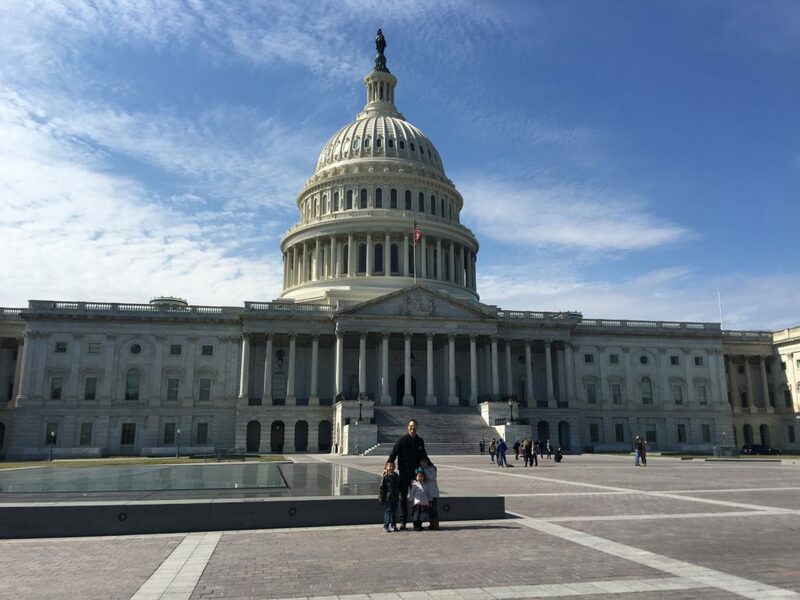 Most recently I was there last year around spring break time to do some lobbying on Capital Hill for a volunteer organization. What i appreciated most was that my senators and congress people (mostly there staffers) really, got us into special and neat places like you spoke. 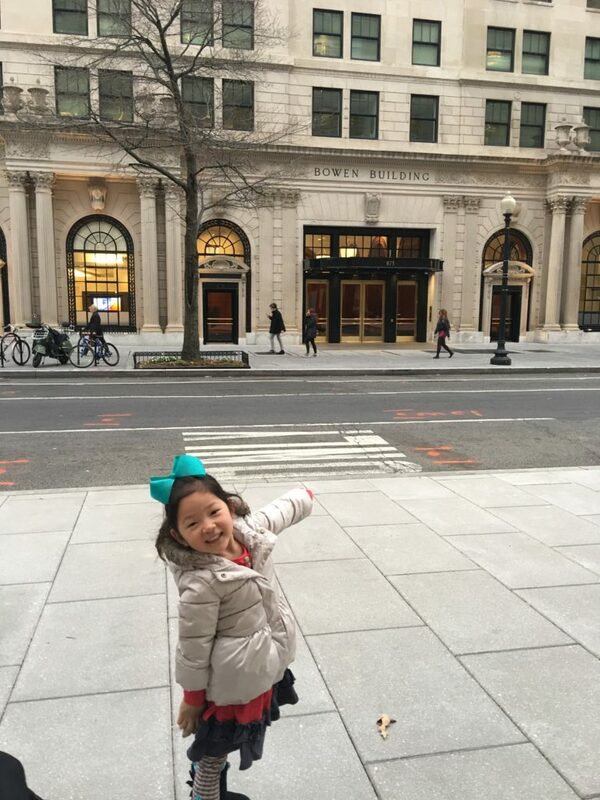 DC is a great place to take kids with so many free activities and places to teach your kids and your family the history of our country. My husband is going for work for two weeks this summer. My ten year old will be at camp but I am thinking about taking my five year old twins there just because of the abundance of things to do. Can’t wait for your recap 3! 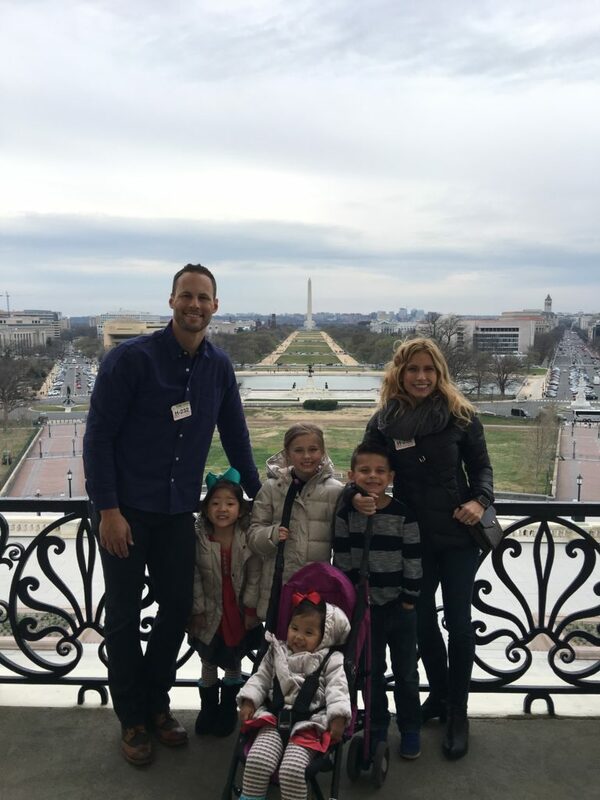 On a recent trip to DC, it was suggested to us to schedule a tour of the Capitol with our US representative . An intern was able to give us a great individual tour. Strongly suggest that to anyone who is visiting. Wow!! What an amazing trip!! So excited to read about your visit to the West Wing. 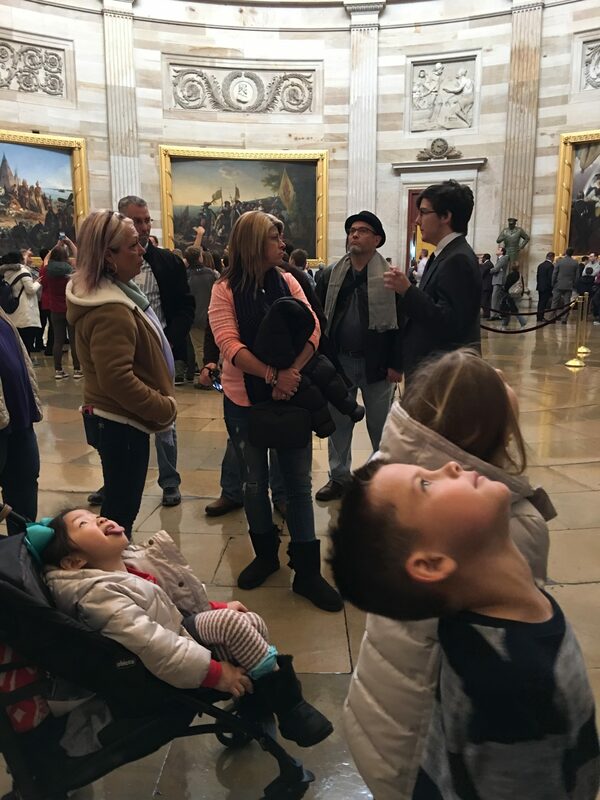 Just for everyone to know – You can request the tours of the Capitol and Supreme Court Shay and her family took by sending in a request to your congressman. It is basically the exact same tour. I have lived outside Dc my whole life. It is an amazing place. Our traffic is insane and work commutes from the suburbs stink but the amazing history you are around is truly unmatched. Ted’s Bulletin is my go to girls brunch spot at a Virginia location they have. If you ever come back you must get their pop tarts like another reader said..so good. I always recommend seeing the monuments at night especially in the summer. The world war 2 one with the water features is one of my favorites. The carousel on the mall for kids is fun and a childhood memory of mine! I love our zoo too…free as well. SHAY!!! this is just sooo AWESOME!!! Your day two sounds amazing. I love the Capital Building Rotunda and the statues from each state. I enjoyed that part of the tour so much when I did it. I also love the Tomb of the Unknown Soldier. Once when I had my sons there on a tour ( this will date me), my son was taking pictures with an automatic rewind camera when all of the sudden it started rewinding loudly! It was awful since it was supposed to quiet. I’ll never forget that moment. Hi Shay! If Smith is a Lincolnphile, check out the picture book Just Like Abraham Lincoln by Bernard Waber. I’m a first grade teacher and my students LOVE this book (especially the ending). It’s a classic for anyone who love Lincoln. Thanks for sharing such a fun adventure! Beautiful family! How stinkin’ cool!! Can not wait to read post #3!! Great post! Definitely want to take my family! May I ask for some info about the bag you are wearing in these photos? Thanks! It’s a Louis Vuitton crossbody! Kerri is fabulous!! How lucky are you Shull 6?!!? lol Thanks for sharing all of the great experiences you all had. Love your blog! The behind the scene tours are my dream!!!!!!!!!!!!!!!! We did a trip over a decade ago from New Zealand to D.C for an international high school competion and I remember that it was just so surreal like a dream! (No private tours for us though hehe). I love your commentary in regards to Ashby and Mr Ryan’s chair! That made me giggle! I live just outside of Washington, DC and work in government affairs during the day and blog for fun. Here’s a bit of trivia for you….Speaker Paul Ryan was a waiter at Tortilla Coast when he was a young Hill staffer. Back then it was on the other side of Capitol Hill on the Senate side. Glad you had a good trip here. Oh my goodness! My history loving heart is eating up these posts, cannot wait to check out part three! I went to DC in high school, and the underground is my favorite detail I remember about the whole city!! 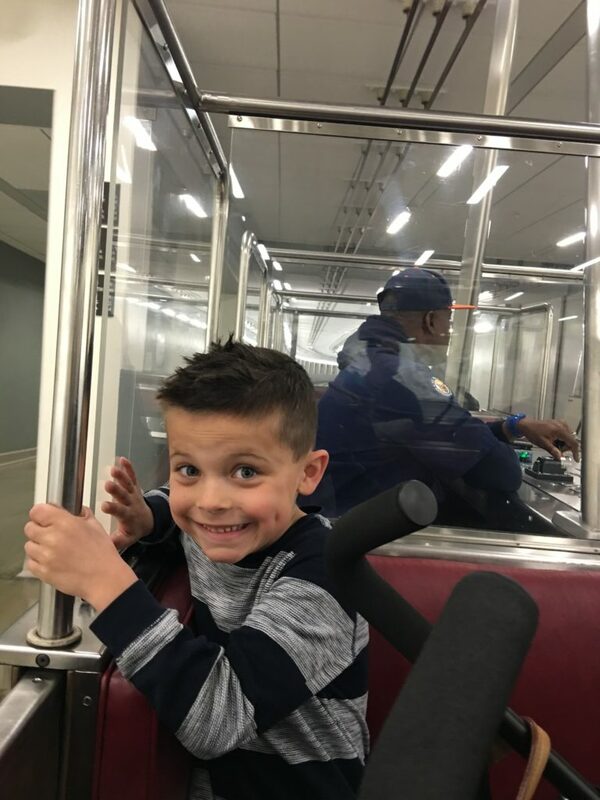 My friend and I even got to ride on the special “Congressman” elevator when we ran into our representative from our state down there. DC is so fun! I can’t wait to take my kiddos there too!